Here you find interesting and useful information. Which FUTON is for me? How hard or soft do I lie the best? Why are futons from Futonwerk unique? Why are there so many bad mattresses on the market? Our goal is that you find the perfect futon for you. One that provides you a nice night of sleep, so that you feel good for a long time. And because this is so important and rare, you should take a moment to delve a little into the subject, which accounts for well-being... You too do not want to be tired and tense all day. You will find that it is neither so difficult nor as boring as you might have thought. We have included the optimal body weight for each futon on the short and detailed description of each product as guidance. This information is rather limited and can be extended depending on futon experience, they are always per person, not per futon. Futons are not soft, they are firm. When we speak of softness, we mean an easier and quicker adaptation to the body's contours, especially in the hip and shoulder area for side sleepers. It's possible to achieve an optimal level of softness with the right Futon. We believe that the 'soft' from the realm of conventional mattresses from "the store on the corner" describes an 'unstable' or 'insufficient' mattress. Futons are not hard, they are firm. Thin, pure fiber futons (usually stuffed with mostly cotton) are perceived as hard after years, because of the body weight pressure over it or due to improper care. If you are pressure sensitive (our soft wool layer inside provides relief), especially on the shoulder and hip area (we recommend the Futons DX3 or DW5.1 Sensitiv), if you are the quiet type (we recommend that your futon should be a bit softer) or move a lot in bed, if you fall asleep on the side (it should be soft) or on the back or even on the belly (should be firm), mostly alone (free choice) or together (consider the width recommendation), if you sweat or freeze (the combination from right futon and bed covers is the best medicine), if you have physical discomfort (then talk to us), or if you simply need a new futon. It makes a considerable difference from which kind of core you change to the futon, particularly in the adjustment phase. It often takes a few days (or weeks) to get used to a new sleeping pad, because the body has been accustomed to the previous surface. The longer you have spent on an 'average mattress', the clearer the physical irritation or even deformation that has to be overcome – this phase can be exhausting, despite a good new mattres. For most of our customers, however, it is a relief. And once you are familiar with your futon, nothing else matters. - Innerspring - mattresses are characterized by their board because of the wire mesh-like, inelastic surface and are more reminiscent of a trampoline (hard and springy). The switch to futon is easy and pleasant. We recommend: Guide yourself according to your body weight when choosing a futon. - Pocket spring - mattresses are elastic at the surface, but mostly too soft. 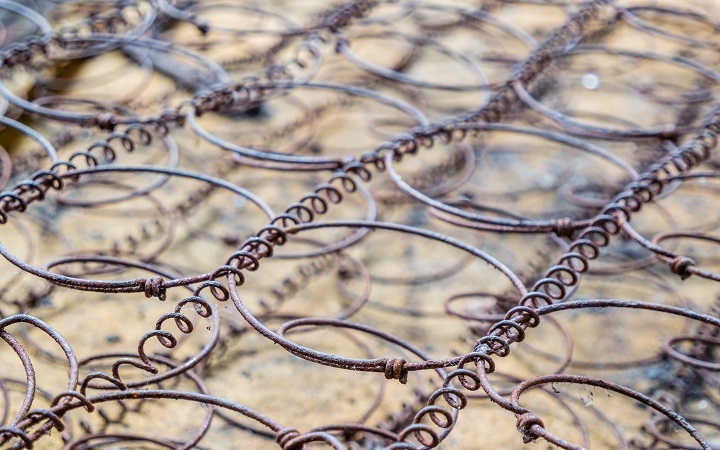 After about 5-8 years they are generally unstable (material fatigue of the thin wire). The switch to a futon can take a bit longer: the firmness of the futon is unusual at first, but with patience your body will slowly get used and appreciate it. Please guide yourself in the direction of “medium hard to soft” when choosing a futon. - Foam - mattresses have usually very low density (German Standard RG 30-40), which means weak capacity and correspondingly low durability. They are soft, medium or hard and chemically controlled, instead of from the material density. Because of the insufficient elasticity of simple foam, contours are molded into it and sold as ergonomic optimization, what affects the durability and can, on a long-term, be damaging to the health. - Memory Foam - mattress (e.g. Tempur Visco Elastic) are heat reactive, which means that these cheap mattresses are tough and hard at low room temperature and obstruct the natural and necessary adequacy of the body on the mattress. In addition, one sweats tremendously due to lack of a ventilation layer. We recommend: Basically, people who transit from foam mattresses should consider softer futons, with a high latex content. We have created a mattress with exact softness for this large group within our customers: the bioFuton DW5.1/Sensitiv, in which we have added a latex core softer than usual for futons. An alternative is the topper concept, which means adding a light Shiatsu Futon mat on top of the main Futon, similar to the concept of Spring Box beds only better. The switch to futon is usually pleasant. - Water mattresses - are mainly characterized by their poor energetic atmosphere (electrostatic) and the restriction of movement. We recommend: If that was comfortable for you at some point, gear your futon of choice with a slatted bed frame ergoVlex to achieve a similar softness. If you are interested on keeping this extreme softness, please check the ergoVlex Sleeping-System at Neonatura.de. How firm or soft do I lie the best? There is no absolute best recommendation when it comes about hard or soft lying. Every single one of us have a particular way, that requires a particular demand. Some products have a special feature that pleases certain people. But the whole circus about the "right way of sleeping" arises mainly from the fact that large companies are alienating customers to compete for a big market. Therefore, they come up with all kinds of reasons to sell their stuff. This of course would be fine if the products wouldn't be so predominantly made out of very poor and unnatural materials for cost reasons. 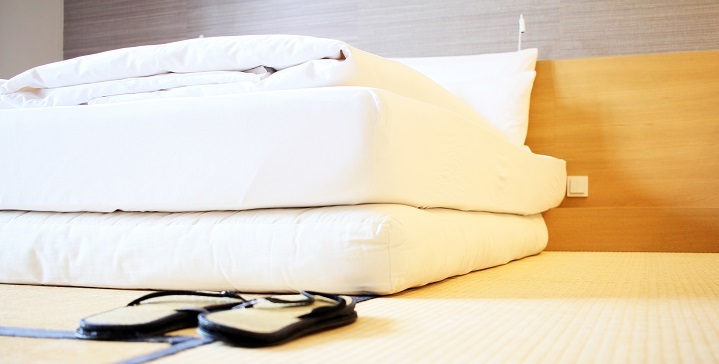 Mattresses made of entirely inadequate materials make unstable, shaky, loose and poor on ventilation surfaces, which are commonly (and wrongly) referred to as "soft", because they have nothing better available. When it comes to "hard", these same companies offer the pocket spring mattresses, who are no better for the same reasons - poor materials. A good mattress should always be stable and ergonomic: hard enough to be stable on its center and soft (elastic) enough on its surface if you need it. So, the question about how "soft" or "hard" is just a matter of taste, which position do you sleep in combined with your body weight. Most of our futons are designed to provide the feeling of slightly soft surface and stable core. Our natural latex layer for example is created so firm that it does not make the futon unstable or shaky, but elastic. Exception: the bioFUTON DW 5.1/Sensitiv is specially made to be softer than usual on its core, which is mostly preferred from side sleepers – they need a softer core combined to a soft surface to accommodate perfectly the hip and shoulders, differently from back and stomach sleepers, who need a more stable core. » Do you like it when your sleeping pad hugs you? Then you can look at 'soft' in our classification. » Do you have a feeling of pressure on the hip or do not know quite what to do with your shoulder? Guide yourself more towards 'soft'. A futon with double Natur Latex layered core will be good for you. Make sure you have a matching pillow for the shoulder. » You always sleep on your side but feels discomfort on your knees? Presumably, your mattress is too hard or inelastic on the surface. A Topper (extra soft pad) can be very helpful, such as Zen 4. Pay attention to the elasticity of the surface. » Do you try too hard to find a position, in which you find your body stable enough to fall asleep? » Do you have a feeling of lordosis in the back position? You need a more stable base, which should be resilient to the surface. We recommend: bioFUTONs DW2.0 or DW4.0, depending on the body weight. » Women usually prefer a solid support with a soft surface (for the hip), while men usually prefer it overall softer (for the shoulder). However, due to the (usually) different body weight it evens itself out that most couples are lying well on the same futon. » Stomach and back sleepers need support with good stability. Side sleepers need a softer, more elastic futon, especially at the surface. » Wider futons (from 160cm) need more volume, because the surface tension decreases with the width of the cover. We recommend: 160cm width from the futon select a level higher than necessary. » Futons are generally initially softer and with time the feeling is less soft, because the layers tend to get compressed - especially cotton. Therefore, our futons will set only slightly, 10-25%. A pure cotton futon however will set more within a few years, around 30-50%. But, for all of our futons one thing is the same: when they’re not well maintained, they will love their height and consequently their softness faster. This is of course a matter of taste and room conditions. People feel individually comfortable with 100 cm wide and with 120-140 cm very comfortable. Couples search usually for 160-180 cm wide, except when they want more body contact. A bed 200 cm wide is good for those ones who move a lot during the sleep or “family beds”. By the way, family bed: while the classic maximal width is 200 cm, more and more often parents choose more flexible options, for example, two 140cm wide futons, which one will later go to the child’s room; or one futon 160 cm wide plus a 90 cm wide futon for the child. Couples who are used to sprung mattresses frequently chose larger dimensions to avoid mutual interference, but a futon is so stable that choosing a bigger size is not necessary. Most people are accustomed to sleep in the bed 200 cm long, even if you are actually too long for it. The cushion should be about 20 cm longer than your body - this creates relaxation. So if you are around 190 cm or taller, a 210cm / 220cm long bed allows you to stretch out and take the posture that suits you. This also applies to the quilt, because if this is not long enough, the body will always pull together and cannot relax. The blanket should be 220cm long from length 180cm onwards. Although this topic is not so attractive to an experienced futon sleeper, it is so seeked by our clients – specially the ones transitioning from foam, spring or water mattresses to a natural sleep system – that we would like to suggest it to everybody. The TWIN-Combination is composed from the same materials as a futon, but in two mattresses, giving the materials more “freedom” and the sleeper a different feeling than when lying on just one massive futon. A favorite combination is the one between the BioFuton DW 5.0 (with Horse Hair) with the Yasumi 3+1 on top. The Yasumi 3+2/Sensitiv as topper would be a solution to a sensitive side sleeper. Couples with very different weights or demands (for example, one is a side and the other is a stomach sleeper) choose normaly two basic futons, for example, the BioFuton DW 5.1 Comfort and the BioFuton DW 5.1 Sensitiv and a topper over both futons, to the feeling of one big surface. Two Futons DX4 (one with horse hair and one with coconut fiber) and a Yasumi 3+1 as topper, for couples who have futon experience and want a softer bed. A classic roll up slatted frame provides such combination a remarkable comfort. The ones who prefer a very cuddly surface should consider taking a futon combined with our ergoVlex slatted frames. Not only is this combination eco-friendly, it also provides comfort for a fair price. 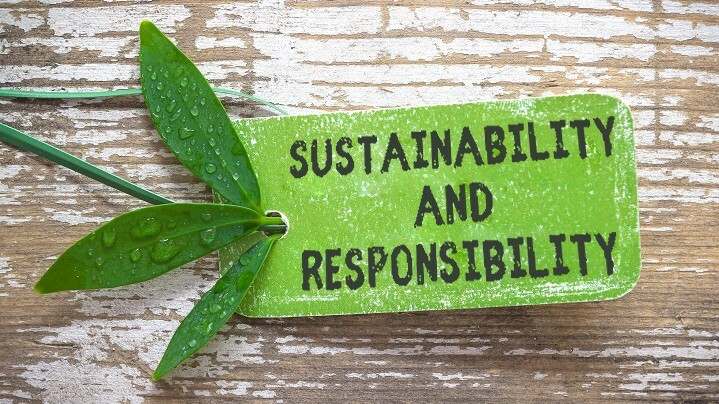 Sustainability has today, primarily through the marketing sign of many large enterprises, become quite fashionable and some caracteristics regulated by law are sold as sustainability. For us, sustainability means the self-aware usage of eco-friendly materials and sources such as the production of high quality products, which will last for a long time. Otherwhise, what is the purpose of making a product for a quick and temporary usage that will later produce more trash and might also lead to a health problem? Apart from the cultural degradation of a society that consumes today, throws away tomorrow and the day after has little more than a memory of those things determining life. Good furniture, for example, grows over generations into the culture of a society and helps to document change, growth, memories of events; the so-called classics would not have obtained this status if they were made of inferior materials or manufactured poorly. A good futon / a good mattress can provide good features up to 10-25 years, depending on the quality and care. Our products can do that! Manual production is a part of the process, and so are fair working conditions. ... is different from other types of mattresses. A futon from FUTONWERK is that all! It is firm and still, not hard, but soft and elastic, it provides the stable, earthy feeling to be carried safely without springs or sinking, which also gives couples a peaceful nest. The high diffusion provides you a dry and comforting bed environment, supported by the skin-friendly, hygienic and anti-static effect of pure natural materials. Imagine yourself lying on a lush greenfield (without insects :-). The rich, dense grass and all the many small flowers offer a soft, smooth and well ventilated pad that embeds your body shape comfortably and pleasantly. Nevertheless, the basic feeling is earthy, stable and secure. But while the field would become tough in the long run because the grass yields and the solid meadow land is not sufficiently elastic, a futon with natural latex core remains constant in its supple elasticity; without feathers, bobbing or sink, with permanent ventilation. » We buy the raw materials that we use and let specialized companies process them according to our needs in order to create good futons / mattresses which last for many years ... just as you would expect it from us. » The fact that we procude on demand for our customers and without unnecessary steps allows us to have fair prices for our products. Be skeptical if you find prices that seem low! If you see extremely low prices chances are you are looking at fake products. Pay attention to the exact declaration of materials and where the products have been produced. We tested the materials of some of those cheap products and found that 50-70% of the alleged wool and cotton turned out to be polyester while the alleged latex was usually found to be some type of mixed latex with varying firmness. Meanwhile, horse hair and coconut fiber also contain few elements of what they are meant to be. » Our service - from the competent consultation and the quick production over to our delivery - is unique on the market anyway. It allows you the highest chances to get the futon that you need within 2-3 weeks and with a clean, punctual delivery by our drivers. Cotton is a marvelous material, with excellent and useful properties. However, as a filling material to a futon-mattress it is not ideal, specially if it is the only mateial. Cotton fibers are very fine, creating the soft and cozy feeling that characterizes them. On the other hand, it also means that they are easly compressed and hardened. The intense diffusion property (humidity absortion) of the cotton provides an excellent climatic regulation to the futon and because of their unique anti-static effect, that’s why we use it as a supplement to the layers. Unfortunately, unlike wool, cotton cannot difuse the humidity easily, which can lead to the proliferaton of bacteria. The cleaner and stronger the cotton, the better it is suitable. In our futons, we lay it underneath wool to get the best features from both layers. Futons made of only clean cotton will set after little time and become a bit harder, specially if the owner do not take care of it, like turning it around or leaving it on the sun for a few minutes. Speaking of cheap: Some of the cheap futon providers offer futons made of cotton - allegedly in Japanese style - for ridiculous prices starting at around 100€. Tests of the materials show that the alleged cotton actually consists of 50-70% polyester. Real cotton should have to be marked as such. You should always ask before choosing. We are often asked what is the difference between a futon and a mattress. The main difference is the design. A traditional mattress consists of a core and a quilted cover, where the core provides the laying properties and the cover consists of a double hemmed fleece for the ventilation. When a core consists of more than one layer, usually these layers are glued to each other. The futon is filled with a plurality of layers, which are connected only at a few points each. The laying properties and ventilation function are then connected to each other and throughout the natural and fine materials are always permeable and flexible. Quality is the key factor. When it comes to a sleeping pad, it is more important to pay attention to the quality (materials and manufacture) rather than the kind of mattress, regardless of being an expert on the subject or not. A good spring core mattress (about 1000€ for 90x200cm) is better than a foam mattress or a weak futon. A spring core mattress from the best source (Treca, V-Spring, Håstings, Schramm…) can be comparable to our BioFutons: ours have a natural latex layer instead of springs. Sleep goes through different stages, which are measured using different brain frequency. It starts with falling sleep, the so-called alpha phase (meditative phase). The brain reaches a vibration frequency of about 13 Hz and we are in the transition to light sleep. From there it quickly goes into deep sleep and below 4 Hz, intervening repeated REM phases. At the beginning of the night more “deep sleep phase” (1-2 hours), later increasing REM (1-2 hours), most of the time, however, light sleep (3-4 hours). At night, or the beginning of resting, glands pour out large quantities of growth hormones, which provide for the cellular regeneration. It works best during the sleep, since most organs are hardly working. Blessed is the one, whose sleeping pad is so strong and resilient that the body can maintain a safe position, move without using all the musculature and keep these biological processes working. Movements occurs predominantly in the REM phase when moments of the day are discharged and of course in light sleep, so that all parts of the body remain balanced in the various positions. 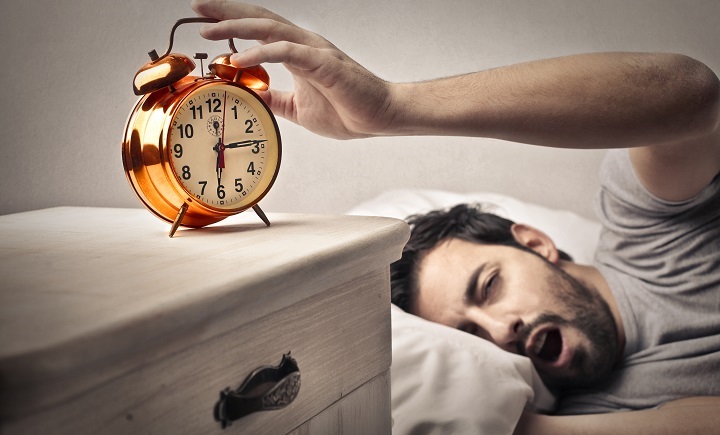 30 to 60 movements take place in the average natural sleep procedure, and again here a good elasticity of the base is required. Both interesting and unexplored is the alpha phase, the door to the sleep, during we can also hover between conscious and subconscious mind and in an energetic way contact others. It is also what characterizes the newly discovered power napping during the day. This is just a summary of a very complex process that we by long do not understand - so there is still only a series of hypotheses about the meaning and function of the establishment sleep. The only sure thing is that it is essential for Homo sapiens, and preferably takes place in the dark because we then produce melatonin, the body's natural sleep aid. More often than it should be, clients come to us with acute health problems. They happen so often because many people wait too long to buy a better mattress and/or lay on an inadequate and poor surface. Buying and inadequate surface can happen due to false advertising of big companies, who usually relate their products to a certain level of quality that they sure do not have. This can be solved easily with an honest consultation and good quality products. We cannot provide any kind of medical consultation, instead we will provide you with general experiences and some helpful methods, that we collect and learn day by day, combined with our high-quality products and the best you can get from them. Sleeping disorders or back pain can be caused by an infinity of reasons. The individual physiognomy and (possibly unfavorable) life guidance can be some of them. Osteopaths, doctors and pharmacists will help you with that. We will help you by providing a good (and perfect for you) mattress. Sweating at night is a problem, which can be caused by inappropriate nutrition, metabolism problems or a bad ventilated bedding. Who sweats a lot at night should have mattress, sheets and blankets made of materials, that easily diffuse humidity. Futons and natural latex mattresses can do it and so can sheets made and filled with natural materials. Synthetic materials and feathers cannot diffuse humidity, because they can only absorb it. Merino, cotton, silk, camel hair and similar materials can solve this problem. Sheets and blankets made of cotton (or half-linen) are even better. If the sweating then persists, even after you change all your bedding and opened the windows, please search for a doctor. Low consume of water can also cause it. Freezing at night is a problem caused by the aging of the skin – decrease of skin resistance. Going to bed to late can also influence the body negatively, because the body temperature decreases a little at night, especially around 2-3 a.m., which makes falling asleep around this time very difficult. At the beginning of the night, a few carbohydrates can help keep the energy levels high, which means, high body temperature. Just like sweating a lot at night, freezing can be caused by mattresses, sheets and covers made of synthetic materials: they don’t retain warmth. We advise in this case our double duvet made of natural materials. Duvets filled with camel hair or cashmere will help people who freeze at night, because both materials diffuse humidity and keep warmth very well. The bed itself also influences a lot the sleep. Synthetic materials – specially the cheap ones – produce electrostatic tension. Innerspring mattresses not only produce a lot of electrostatic tension, which can lead to a nightmare, but are also responsible for the “trampoline effect” the heavier you are. Agitated people need a firm, stable mattress, something that an innerspring mattress (especially if bigger than 100cm width) does not provide. The slatted bed frame also influences the feeling, especially from sensitive people. Pressure tension is felt predominantly from side sleepers on the hips and shoulder, when the mattress is too hard or inelastic. On the side, you have a smaller contact surface, which means your body weight lays on just a few points. In this case, we also advise changing the mattress or getting a topper (a Shiatsu Futon – Zen 4 for light people, Yasumi 3+1 for heavy people). Tension (in the morning, after waking up) on the neck are caused by a wrong pillow. The pillow of a side sleeper should be the perfect gap between the head and the shoulder, in a small size (we advise 40x80xm, bigger than that, like 80x80cm, is unnecessary). It should also not be too soft, otherwise, the head will turn to the sides, on an uncomfortable position. If the back-sleeper’s pillow is too hard or too big, the head will be pushed forward (chin directed to the chest) and cause pain. Stomach and back-sleepers will feel tension on the body in the mornings, if the mattress and the slatted bed frame are not enough support. If the body doesn’t sink at all into the mattress, the muscle tension will be high. 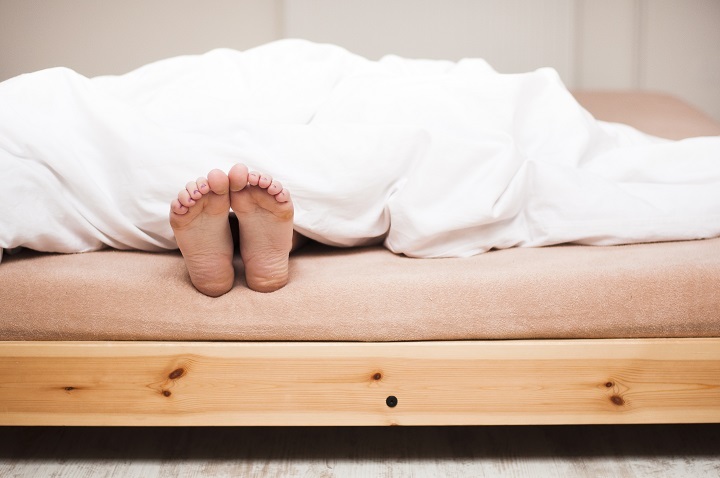 If the body sinks too deep into the mattress, the chest or back will lay in an unhealthy position. To this problem, we advise a Zen with coconut fiber as a topper if your mattress is too soft or a Zen filled with just cotton, if the mattress is too hard. There are many answers to this question: the lack of interest for mattresses is one of them. Who cares about them anyway?... But why is that? What and where do we learn about our bodies and how to treat them? Our knowledge about our bodies is so superficial (“be pretty, be on shape”) and we also lack on professional information: why aren’t orthopedists talking openly about how important it is to choose a right mattress? We learn that a mattress is a necessary product without meaning. So, most people want to spend as little money as they can on it. On one side is the supplier. Due to the deficit of interest and professionalized staff, this industry produces an attractively and cheap product, that seems to be of a good quality, but in the end, isn’t. There’s also a deficit of dedicated youth in development and management, because ... well, because it just does not seem interesting. Bad consultation and intense competition decrease quality. Then there is the pressure of the big distributors, who want to surprise us with special offers. In the meantime, these special offers drive to low labor costs (instead of a trained staff) and simple-return areas. It is the same here as in cooking: the quality of the ingredients largely determines the outcome. Our hope is that the next health reform or the one after recognizes the link between poor sleep culture and orthopedic treatment costs. Then a good mattress is a duty, there will be more information on the subject... and so an informed consumer will turn into an interested customer. This is a difficult topic to which I know many stories and anecdotes. I will limit myself to presenting why we attach no importance to test products and certificates. As for the Test / product-test, there are, as everyone knows two organizations controlling this issue. Stiftung Warentest, a parastatal organization that is in principle serious, because of their status, but whose test results reliability are still limited, at the end they dread two things, the damage to legitimate businesses and the possible, resulting process / cost risk. In the field of mattresses tests it is striking that the test criteria are partly so slack that even 'weak' products achieve passable results. Consumers looking for quality have no clear decision aid; the much larger group of those who want to spend little is met half way and thereby enhances quality deterioration. The other establishment 'Ökotest' is a private enterprise company from the get go and cannot ensure the safe separation of advertisers and Test aspirant. I know both positive and reliable tests and test results from both sides, as well as those in which as a serious professional you can only bang your head or chocking on laughter when you are affected. So, I know for example in the field of natural mattresses of cases where one competitor that uses the same certified Qul materials as others, was rated a grade worse, because it is in this batch of material other results were obtained It would thus also be able to be the other way around and is clearly noticeable for the one who has the bad grade. There are also double standards, since a fully synthetic (and price / service miserable) Tempur mattress is suddenly found as ‘good’ in the 2nd try (! ), while respectable natural mattresses are written down to 'satisfactory' (principle), if they contain plastic For consumers, this is not recognizable. Stiftung Warentest is known to (similar to Ökotest) preferentially take up certain manufacturers' products in the test, while other, just as relevant products do not show up. If manufacturers do no corresponding 'lobbying', they only have a small chance to be in it. 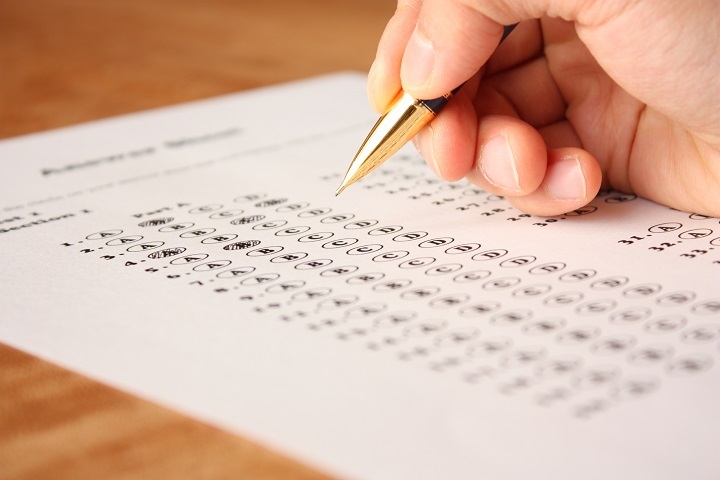 As a result, one must conclude that this the test is too much of a marketing-technical instrument that is hard fought for by the industry, but offers quality-orientated consumers no satisfactory support, especially as quality products often come from small producers and - because of their small market importance – do not occur in the test. Over time, I have enough experience, even with predominantly positive tests and test results of Stiftung Warentest and Ökotest to make the decision, not to work with it, in order to appropriately present true quality. The situation is similar with the certificates. The certification criteria for the consumers are rarely transparent and require trust to the respective authority. The manufacturer must obtain the certificate, it must meet certain conditions, although not necessarily considered secure or verifiable, but it is assumed that they are respected. Thus you trust a company and ultimately in return the certificate receives a marketing-technical alibi. For example, if the material purity of cotton from certified organic cultivation organic cotton (certified organic) is ensured by the fact that the producers send in a sample 1x per year to a laboratory, you ultimately trust this producer or the clothing manufacturer that processes these goods. When for example the textile product is decorated with an eco-label, which indicates the test of 200 pollutants, it makes a good impression and entices us to buy it. But whether it was made in dubious manner somewhere in Central Asia, is even less clear than the other aspect that it is really made from certified organic cultivation. There are also many examples and stories that in the end make it clear that it is about trust and we want to build on the greatest possible openness in product representation and advice, instead of a seal. To make it clear that there is no lack of access to the issue of certification it should be mentioned that I founded the Qul and built it up with and am now a member of the IVN. If you want the inspection certificate for one or more of our materials, we will send them to you by email upon request. For questions on these subjects please do not hesitate to contact me. Do you have a question about sleep or how to find a product that perfectly fits your needs? Please don't hesitate to contact us using either our contact form or fill out our consultation form.